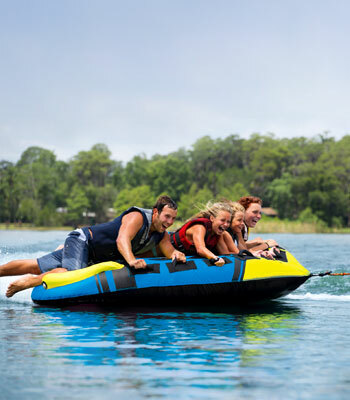 At Nootica, we stock a wide range of towable tubes, fun toys and jet ski accessories. Amazing fun is only a few clicks away! Towable Tubes: this water sport has been picking up steam these last few years. The reasons for that are plain to see: it’s AMAZING! We stock a wide range of towable tubes made by big brands like Jobe for up to eight users! Jet Ski: get geared for your jet ski session: take your pick among our wetsuits, boots and impact vests. Fun Toys: mainly for designed for yachts, our trampolines, pools or water slides and other Aquaglide fun toys will blow your mind!